Crianlarich, 스코틀랜드의 크라안라리크 유스 호스텔 | 호스텔월드에서 예약하세요. 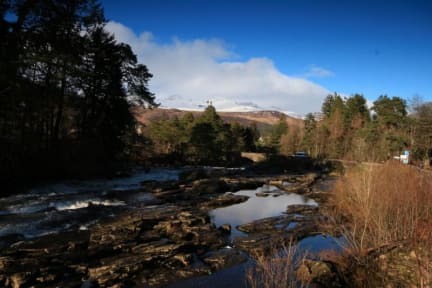 Set amidst stunning mountains, at the halfway point on the West Highland Way, Crianlarich Youth Hostel is the perfect base for anyone looking to explore the northern area of the Loch Lomond and Trossachs National Park and surrounding mountains. 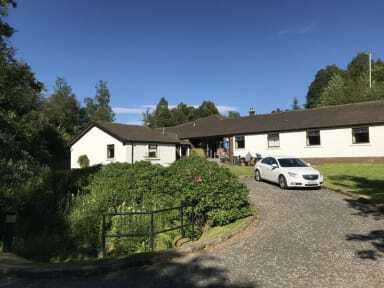 Great for groups, families and individual travellers, this warm and welcoming hostel offers guests a wide range of room types from comfortable private rooms, some en-suite, to spacious shared accommodation. The hostel has ample showers and washrooms and ramped access at the rear of the building for two accessible rooms with wet room facilities. Guests can opt for a continental breakfast served in the dining room or take advantage of the well-equipped self-catering kitchen. WiFi is free for all guests and other facilities include a comfortable lounge with TV, a laundry, drying room and secure bike store. Basic provisions, confectionery and soft drinks are available to purchase at reception. The hostel is licensed and guests can relax with a Scottish craft beer or glass of wine after a long day exploring. There are good bus and rail links as well as free onsite parking.